We already know some information about AMD’s upcoming Threadripper line of CPUs, but Intel will soon be trading blows with its competitor by launching a whole new tier of processors: Core i9. 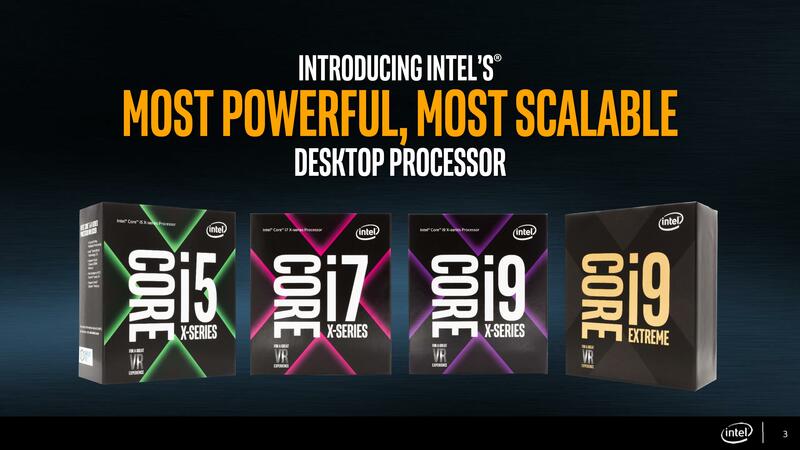 The Core i9 denomination is a new thing for Intel. Previously, the Core i7 tier of processors included both the high-end processors and the more extreme, very expensive offerings. For example, in the 6th Generation series, the i7-6950X was a 10-core Broadwell-E processor that retailed for a whopping $1723 USD. This time around, Intel wants to separate those ultra-enthusiast processors from the more mainstream offerings. All of the chips above are part of the Skylake-X family except for the 7740X, which is a Kaby Lake processor. It looks like we’re in for quite a competition between Intel and AMD for the first time in quite a while. If nothing else, hopefully this healthy competition will help drive both innovation and a reduction in consumer prices!